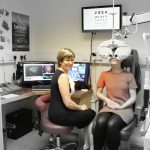 Our practice is fully committed to providing the highest possible standards of eyecare for all our patients, both NHS and private. 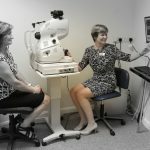 Due to continued investment in technology and training we are able to offer a range of services and procedures which are beyond the scope of the General Optical Service (NHS) Sight Test. 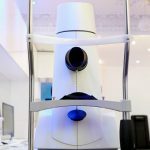 For patients over 60 and those over 40 with a family history of glaucoma, or for those who simply want the most thorough examination, we highly recommend our Premium OCT examination. 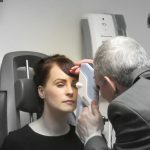 For patients not in one of the above categories, we highly recommend the Fully Comprehensive eye examination which covers all procedures except the 3D OCT scan. Please click on the images above to view our practice and staff performing eye examinations.